If you are a natural or legal entity considering or looking at setting up an NGO in South Africa the information below will guide you through some of the key steps, as well as the recruitment of foreign staff to the NGO. Firstly it should be pointed out that the process is quite complex especially when it comes to issues of ownership and how this affects the recruitment of foreign staff or transfer of them. A consultation is advised with one of our team who can be contacted on + 27 (0) 21 424 2460 or email us. Non-governmental organizations (NGOs) are corporations that are legally constituted by natural or legal ‘people’ (such as an incorporated company). 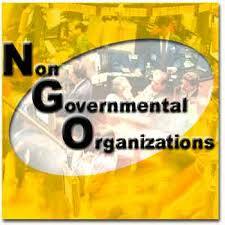 An NGO runs independently from any form of government, even if funded by a government. NGO’s are not customarily for-profit businesses. The Constitution of your Voluntary Association. Many make the mistake of thinking that a business visa is the most likely option as they are in fact setting up a non profit business. However South Africa’s immigration rules do not cater directly for Setting up an NGO in South Africa so the set up and the recruitment of any needed foreign staff must be looked at separately. 1. Intra company transfer – this can only be achieved if when Setting up an NGO in South Africa it is structured correctly. An intra company transfer can only be done where there is a clear connection between the parent company based abroad and the NGO here in South Africa. The clearest example of this is that the ownership of the South African NGO is the parent company. 2. Volunteers visa – this is a visa that is for those foreign individuals who will be employed but for no remuneration. 3. General work visa – where the position has been advertised in South Africa and no suitable applicant has been found, requiring the employer (NGO in this case) to widen the search to foreign staff. Where the foreign employee is also a shareholder in the business, the shareholding must be minimal otherwise none of the above visa can be applied for. You can view more information on each of the above visa options by simply clicking on the visa title above. Intergate are here to help you with setting up an NGO in South Africa. From initial advice on structures, the permit and visa requirements, tax registrations and ongoing currency needs, we offer a full in-house service.